Shortly after the revolution of 1979, Iranians were busy changing names. Names of thousands of streets, buildings and even cities that had been named after the Shah, his family or others close to the former regime needed to be changed and replaced by new idols and symbols of the revolution. Perhaps the most prominent was Tehran’s major thoroughfare going from Pahlavi Street to be named after the regime’s renowned adversary, Dr Mohammad Mossadegh. As teenagers, we didn’t limit the move to names related to the former regime though. My family lived in a new development where streets were numbered but that didn’t stop us from changing ‘19th Street’ to ‘Mehdi Rezaei Street’. Mehdi was one of the youngest victims of the former regime, having been arrested, tried and executed, all before his 21st birthday. He was someone we could relate to. The process was just too easy. We would make cardboard signs in the shape and size of actual street signs, replace the old ones or better yet glue new ones on top and wait until people started using the new name. In many cases, they were eager to do it, particularly when it was a name of a despised character they were replacing. Other times, it never actually ‘took’. Shahreza Avenue, named after the patriarch of Pahlavi dynasty, was quickly changed to ‘Enghelab (Revolulion) Street’ but our old street is still called 19th, to this day. 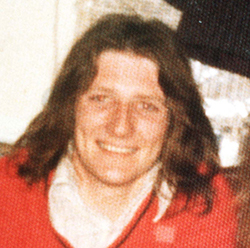 So, by that faithful day in May of 1981, when the news of Bobby Sands’ death was received in Iran, we had plenty of experience and there was no way the memory of someone we considered a great revolutionary who had stood up to the British for his people and at the highest cost could be forgotten. It happened more on a fluke. I was part of a small circle of friends, all under 15 years-of-age that was always attending speeches together, covering the local streets with political graffiti, distributing flyers and occasionally getting beat up by those we pissed off. One of us lived on a street that backed onto the British Embassy in the heart of Tehran and because of this central location and his parents’ more liberal approach, we’d often gather at their flat. Our original plan to honour Sands was far more risky. From their windows, you could see the Union Jack flying prominently in the embassy’s yard. We wanted to sneak in at night and replace it with an Irish flag! That plan ran into a few problems. If there was a place to buy an Irish flag in Tehran, the 13- and 14-year-olds in our gang had no luck finding it. We made one, but it looked horrible and because the colours we had used were closer to the Iranian flag, we were worried it would be taken as the wrong flag and maybe the wrong message. We finally decided on a big white sheet and wrote ‘I.R.A.’ across it. Even that was problematic, as we tried it once on the roof and it was so heavy, it would not wave and be seen fully and we were worried that if it just sits hanging from that pole, it’ll only be a white sheet and nothing more. There was also a concern about guard dogs we had never seen, but could occasionally hear on the other side of the wall. With all that, the flag plans were abandoned late one evening with all of us frustrated and exhausted. Then somebody within the group brought up an old practice: let’s rename the street. I honestly wish I’d remember who said it first to give him full credit, but I just don’t after so many years. The plan wasn’t as exciting and adventurous, but we were desperate at this point. We all agreed and had soon bought large white construction paper and navy magic markers to make signs. I was the most graphically gifted of the bunch, so I’d draw the shape of the actual signs, copying the real ones made by the city and the rest of the gang would colour and cut them. We made about twenty of them and got out when it got dark to cover the old signs. Next evening we returned to see if any of them were left and to our surprise there were a few new ones made by others too and, thanks to the glue we had used, even the ones very close to the embassy compound had remained in place. However, the occasional missing corner was proof someone had tried to remove them. Soon the entire street had new signs and the city officially changed the name also. To me, the first big victory came a few months later when at another Tehran street corner, where passengers holler their destinations to passing cabs in hope of being picked up by someone feeling the route is profitable enough, I heard a woman yell, ‘Bobby Sands!’ The name had stuck and it was now certified and far more official than the city putting up actual metal signs. The larger victory, however, was when we discovered the embassy had been forced to change their mailing address and all their printed material to reflect a side door address in order to avoid using Bobby’s name anywhere. What we had no idea about, was how the news of our little ‘prank’ that had turned much more significant now, had reached across the great distance to get to Ireland, its people, the activists and even some of the remaining prisoners. Years later I was told of how that little gesture had showed them they are not alone and even in far away places, people respect and honour their struggle. Maybe one day I’ll be walking down an Irish street and be pleasantly surprised when I get to Mossadegh Square. Maybe. Footnote: In 1981 the Iranian government was officially represented at Bobby Sands’ funeral and presented to Mrs Sands ‘a plaque from the people of Iran’. If you do walk down an Irish street one day, you just may come to Mossadegh Square. Yes, when Ireland is united and free of the tyrant. Irish Repulicans never forget the people who stood up for them when they did not have to. Right … I’m writing this with tears in my eyes. A very touching story. God bless Ireland. God bless Iran. God bless freedom and freedom-loving people.